More vehicles than ever are E85 compatible, but fewer drivers than ever are seeking out the ethanol-based fuel. General Motors has grown quiet on the topic, but just a few years ago the automaker was making considerable noise in support of E85. 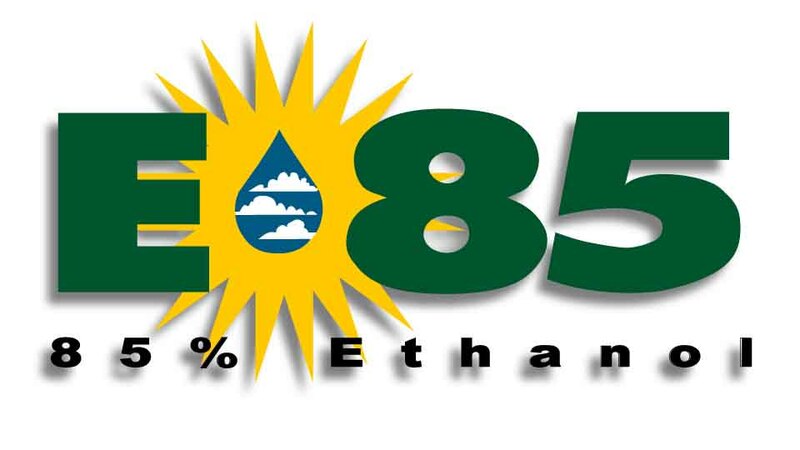 A mixture of 85 percent ethanol and 15 percent gasoline, E85 was seen—and still is seen by many—as a means of reducing America’s dependence on petroleum, especially imported petroleum. When equipped with the right engine (sometimes, the E85-capable engine is optional), all these vehicles can run on conventional gasoline or E85 ethanol-blended fuel with no modification and little difference in performance. It’s this flexibility that gives them the nickname “flex-fuel” vehicles. Proponents of E85 offer plenty of reasons to buy a flex-fuel vehicle. First of all, when using E85, your car will pollute less, and you’ll also be supporting America’s energy independence. E85 produces fewer harmful exhaust emissions than conventional gasoline. Proponents add that utilizing this renewable energy source helps stretch the earth’s finite supply of fossil fuels. They also position E85 as a boon for American jobs and agriculture. According to E85 supporters, the homegrown fuel helps the nation’s trade balance and reduces tax dollars and military resources needed to secure our supply of foreign oil. The ethanol sold in North America is derived from plant material, mostly corn. Because its raw materials come mostly from U.S. farms and are distilled in U.S. refineries, ethanol is touted as a renewable energy source that has the potential to reduce America’s dependence on foreign oil. Some people argue that the most widely used method of turning corn into ethanol–at least in this country–isn’t really practical (see Cons, below). However, other methods are being developed that are much more efficient, which may make the flex-fuel vehicle you buy today far more attractive in years to come. In the meantime, it’s perfectly happy to run on conventional gasoline. While using E85 certainly has its positives, there are also significant negatives. Your mileage will suffer when you run on E85 ethanol because it doesn’t contain as much energy as regular-grade gasoline. According to EPA estimates, vehicles get 25 to 30 percent worse fuel economy when running on E85 than they do on gasoline. That means you’ll be able to drive 25-30 percent fewer miles on a tank of fuel. Also, E85 would have to be at least 25-30 percent cheaper than gasoline to break even on cost, and often it’s not. Furthermore, simply finding a place to fill up on E85 ethanol is a challenge because most pumps are located in the Midwest or on private or government property. Signs that your vehicle is engineered to run on fuel with an ethanol content as high as 85 percent. Another concern is that most ethanol currently produced in this country is made from corn kernels. This is the same corn that is used as feed for livestock, which tends to put a greater strain on supply–with increased prices being the result. Methods of making ethanol from non-food organic matter have been developed, but are they not yet in widespread use. American automakers, stung by criticism that they lagged Japanese rivals in production of gas/electric hybrid vehicles, once embraced E85 under the umbrella of energy conservation and independence. (By 2011, some 8 million flex-fuel vehicles were already on America’s roads.) The Detroit Three’s top executives lobbied for increased government support of ethanol production. And the companies funded campaigns to promote the use of E85 and the installation of more E85 pumps at gas stations. But E85 has come under increasing scrutiny. Critics derided the millions of dollars in tax subsidies provided to ethanol producers, labeling them government handouts that went primarily to giant agricultural interests and big-corporation refineries. In response, Congress decided to stop subsidizing ethanol, ending on January 1, 2012 a practice that had lasted for more than three decades. As a result, the price of E85–already of questionable economic merit–has likely increased. Detractors also note that lots of non-renewable diesel and gas is consumed to grow, transport, and process corn that becomes ethanol. Some maintain it requires more energy to produce ethanol than ethanol itself provides. In addition, the EPA acknowledges that putting more flex-fuel vehicles on the road could raise levels of some types of harmful air pollution. The EPA has created a handy list of all new and used vehicles that are E85 compatible. Note that the new vehicles listed (2014 and some 2015 models) are in order of combined (city/highway) fuel economy, highest first. 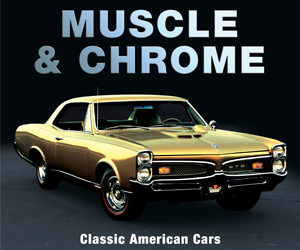 Some vehicles are listed more than once due to multiple engine or transmission offerings. Cars range from the compact Ford Focus up through midsize and full-size models, including some premium “high-end” vehicles from Audi, Jaguar, and Mercedes-Benz. Many SUVs are also on the list, ranging from the midsize Chevrolet Equinox/GMC Terrain, up through full-size vehicles and premium models. The Chrysler Town & Country and Dodge Grand Caravan minivans are on the list, as are nearly all full-size pickups. On that site is also a “Modify Search” button that allows you to search back through earlier model years for used cars that can run on E85. Note that although the pull-down menu permits you to choose back to 1984, the first models listed are from the 2000 model year. If you want more information on any car you find on that list, we invite you to visit Consumer Guide’s website at consumerguide.com for both new and used-car reviews going back to 1990. Written by: Rick Cotta on August 12, 2014.on November 28, 2017.